The 2019 Summer season in our lifeboat tea room starts on Friday 26th April. St Luke’s Church is a local member of the Sefton Dementia Action Alliance (DAA). You are invited to Tuesday lunch on the 1st and 3rd Tuesday of the month, 12.00 to 2.00pm in the meeting room. St. Luke's is linked with St. Mark's, Shyira, Rwanda. St. Luke's Church, Formby, greets you. Here at St Luke’s Formby we are trying to put Jesus back in his rightful place in our lives. We hope you will drop by and spend a little time with us, but if you are unable to come to the church building our prayer is that you will spend some time looking at the claims of Jesus where you are and find in Him, the way, the truth, and the life. We are a developing, worshiping, community in the beautiful small town of Formby. Surrounded by Pine Woods, it is not unusual to see the endangered Red Squirrel, along with many other parts of God's creation around our edges. As a growing worshiping community we see our mission as to spread the love of Jesus Christ in word and deed. 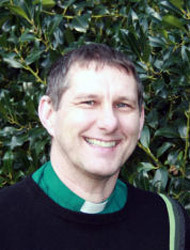 Our preaching has many aspects and styles delivered by a team of Lay Readers as well as Clergy. We believe in all member ministry and are seeking ways in which all can develop their ministry as they are all vital for the kingdom of God. We look forward to welcoming you to both our website and our community. To see a short sequence of pictures about life at St. Luke's click on the play button.